On September 11, 2012 the JDL or Jewish Defense League called for a demonstration in Scarborough, ON in front of an apartment building they believed had relatives of Omar Khadr. They actually went into this community with a biker’s gang and stood across the street with the intention to intimidate and to terrorize. I have never felt so sick inside. I witnessed so many things in the West Bank that shocked my sensibilities as a Jewish woman. The atrocities of war in Gaza left me heartbroken but what I saw yesterday was so shameful. Omar Khadr deserves to come back to Canada. Omar Khadr is the youngest person and the only Canadian citizen in Guantanamo Bay. He has been held there since he was 15, over 10 years ago. After years of the US and Canada failing to uphold international law with regards to child soldiers and arbitrary detention, Omar was finally put through a ‘military commission’ in 2010 where the US and Canada jointly agreed to grant Omar a plea deal: one more year in Guantanamo, seven more years in Canada. According to that plea deal, Omar should have been back in Canada as of October 2011. Whether you agree or disagree isn’t the issue. It is memories of Kristallnacht, (also referred to as the Night of Broken Glass) was a pogrom or series of coordinated attacks against Jews throughout Nazi Germany and parts of Austria on 9–10 November 1938, carried out by SA paramilitary and civilians. German authorities looked on without intervening. The attacks left the streets covered with broken glass from the windows of Jewish-owned stores, buildings, and synagogues that you should think of. It is memories of Jews forced to wear a yellow star. Is that what we want in Canada for anyone? Is this not a free country with human rights laws? Are we Jews no longer a caring people? One man last night was interviewed by a Toronto journalist. He said what do I tell my 5 year old son tonight when he asks me what is going on and why there are people shouting across the street and why there are other people in front of his apartment building chanting and talking. Do I tell them it is Jews against Muslims? I do understand on some level why so many Jews will not speak out against Israel or against Israeli policies. I do understand that we were raised to believe this is our only hope for survival as a people. I don’t know how you can turn a blind eye and a deaf ear to what is being done in your name but I understand the power of Zionism. However, I do not know how any person but especially a Jewish person could allow thugs to go to a neighbourhood to terrorize and demonize innocent people. It is Rosh Hashanah – you have prayed for peace, for a better world, for love, for family, for your neighbours and for yourself. Soon you will ask Adonai to forgive your sins against Adonai and you will ask others to forgive you for sins against them. This is a sin – xenophobia, it is in your siddur. Speak out now. Please do not allow the JDL to speak for you, to represent you. The legal system set out in the Torah provides for both judgement and enforcement, and even more, makes the enforcement a central part of the process — “and they shall judge” seems to refer to the officers as well as the judges. In addition, this commandment is given to all of Israel, rather than to a select group of leaders. How do we understand this? What can each of us do to set up judges, and even more, establish police? The answer, perhaps, lies in a deeper analysis of this obligation: within ourselves, we each must judge and police our own behavior. As the Shla”h HaKadosh writes, the Sefer Yetzirah says that there are seven gates into a person. What are these seven “gates?” Two eyes, two ears, two nostrils, and one mouth — these are the gates, through which outside influences come into our bodies. The verse tells us to make judges and officers, to ensure that what comes in through our gates is not the bad but the good. Take a good look at our current leadership today. A destroy Israel rally is held at Queen’s Park and our current Jewish leaders refuse to confront this clear and present threat. To those who argue that the threat was on Shabbat; all I can say is arrangements can be made, there was enough proper notice. The Jewish Defence League once again gave our community strong leadership. The JDL will always confront and expose antisemitism. We will not sit idly by in our offices sending out weak press releases. The JDL gets the job done and good people throughout the world have taken notice and follow our example. Al Queda Omar Khadr family home. We will be joined by many freedom loving Canadians that oppose the possible return of Omar Khadr to Canada. Thank you to all our supporters that march with us. So I ask you…….is this your Judaism??? Say something today. We all need to ask the innocent people at 720 Kennedy Road for forgiveness to pardon this sin that we allowed to be committed in our name. Don’t be silent. Don’t say you didn’t know. A couple Tuesdays back, I had the opportunity to sit down with Sandra Ruch, an international human rights activist, Coordinator for the Canadian Voice of Women for Peace, and a member of the Gaza’s Ark Steering Committee . Since 2004, she has been heavily involved in human rights work, advocating for the rights of the Palestinian people. Her involvement in social justice activities started with helping new immigrants become established in Canada. But, it was her experience in Palestine that sparked her passion for anti-occupation and anti-Zionist activism. Her involvement became very personal as the events she witnessed conflicted with her views of Judaism. All her life Sandra was a Zionist activist, leader of a Zionist youth group at 13, later as a member of an adult Zionist organization and as a Hebrew Sunday school teacher. After WWII – Israel became the safe place for the Jewish people to reside. She whole heartedly believed in the rhetoric. Essentially, Zionists believe that Israel should be there for the Jewish people – and they don’t see it as a racist statement. Sandra was born 8 years after Israel became a country and so it made sense to her. She believed that the army was there to protect. As a woman of faith, she thought the Israeli government were following the principles of Judaism: healing the world, acts of loving kindness, and obligations of charity. Additionally, the Ten Commandments are fundamental in Judaism – such as condemning killing. Sandra lived in Palestine for 2 years and witnessed a total disregard for human rights. She saw crimes against humanity; murder and theft by the Israeli army. Because Sandra saw it personally – she can speak about the things she experienced. She was appalled by the human rights violations and the lack of respect for humanity. It was the catalyst for her work – however, she would fight for anything that disregards human rights and disrespects humanity. She has focused on this area because it is directly related to her personal experience living in Palestine. Her work and life is now for the Palestinian people. The ones displaced in the diaspora and in Palestine. But, this dedication has created a riff with her siblings as they no longer speak to Sandra. She has lost much of her spiritual family as it has been difficult to find a temple for support. Many Zionists cannot understand why she engages in this type of work. Additionally, the arrest in Greece on the last trip with the Canadian Boat to Gaza could have resulted in jail time for 3 years. These events coupled by Sandra’s 2 year absence have been very trying on her family. Although, many within the anti-occupation community have become her new brothers and sisters, she acknowledges the sacrifices that must be made in order to continue with her work. She is not afraid to be arrested – but outside of the activist community it is sometimes difficult to understand this level of commitment. The most important element in whatever you are working on, be it activism or something related to your passion, Sandra believes you should follow your own heart. You must do what you need to do. Live authentically. You can never please everyone – so you must do what you think is right for yourself, and the rest will follow. Sometimes life is not an easy road, but when you overcome the barriers, and stay on the journey, your life will be meaningful and full of hope. Sandra’s triumphs are in every aspect of her work. These triumphs have fueled her passion and continual commitment to this cause. Just starting a project and seeing it to completion is a personal triumph. 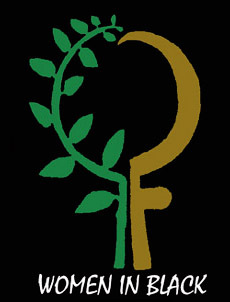 In 2005, the Women in Black, a world-wide network of women committed to peace with justice and actively opposed to injustice, war, militarism and other forms of violence, had a conference in Jerusalem. There were 700 female participants from around the world. It highlighted the occupation but didn’t make the news. However, it was such a powerful and meaningful experience to be around so many brilliant women who came to share their perspective on the occupation. The next triumph came when the movement planned the Gaza Freedom March and 1500 people came to Cairo to attend the march. The Egyptian government locked them down – but they worked together. It was a catalyst for the movement. Then after the massacre of the Mavi – they went to the street and started a hunger strike in front of the Israeli consulate in Toronto. Every media in Toronto came out to cover it. It was a great awareness event. Did it take 9 people to be murdered? Yes, but it got the word out about the atrocities. Within a month, they announced the Canadian Boat to Gaza. Massacre on the Mavi – was in May 2010. They announced the boat in June/July – raised $400,000 even though the original goal was $300,000. Sandra went to Greece, figured how to buy a boat, and hired a captain who happened to be the first one to break the siege. Then she arranged for the 47 people to attend. She coordinated the logistics while in Greece – hired lawyers, listened to Greek partners – there were a lot of sleepless nights worrying about the decisions made. Through these experiences Sandra has learned that every person must truly believe in the work they do. Then connect with people who have strengths in different areas to build upon your passion. She states that they were the only boat to get out of Greece. They made it to Turkey and then sailed to Gaza. The difference this time is that they are going to refurbish and build the boat in Gaza – which is why Gaza’s Ark is such an apt name for the project. Essentially, the issue is that Gaza has been under an Israeli blockade for over five years. This means that the local fishers cannot feed their families or fish for trade. According to International law – Palestinians would have the rights to 12 nautical miles from shore. The Israeli government would only allow 6 miles. But, since the massacre, it is only 3 miles. This water is overfished, polluted, and their infrastructure is collapsing. Now the fishermen – are putting high powered lights on their boats to attract the fish. But, it is super dangerous – one person has been electrocuted. The Israeli army has been known to shoot anyone within 1 in a half mile off the shore. Is the UN doing anything? Not really. According to Sandra, John Ging from the United Nations Relief and Works Agency has made statement after statement but not much has been done. The Gaza’s Ark team know their boat will be captured again. But, it’s the statement they are trying to broadcast to the world – to demonstrate how Israel is not supporting the Palestinian people and making up their own rules. For example, the Tahrir was in international waters when it was captured last year. It was brought over to Israel. The authorities made their team say that they entered Israeli waters illegally when they didn’t. The Israeli government tells the world that Palestinians want to kill all the Israeli’s. This is absolutely untrue. The Israeli government enforces what food items can go in and out of Palestine, and what people can eat – essentially they have put them on a collective diet. Some items such as chocolate and tomato sauce have been banned. It’s a form of oppression. Gaza’s Ark will carry local trade items, and distribute them to the world for sale. This is to help the local people work around the occupation and be able to feed their families from their earnings. 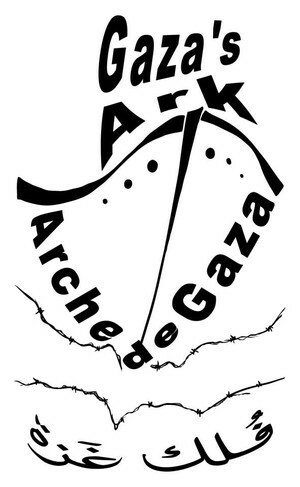 If someone is interested in getting involved – Sandra suggests checking out Gaza’s Ark website http://gazaark.org/ and endorse the project. Then donate to support the funding of the boat. Are you willing to go to your MP to state you don’t support this? 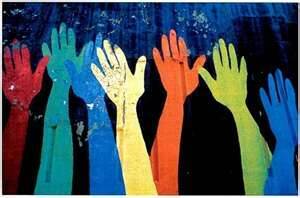 She says “that it is important to get the message to the political leaders as that is where the power lies. You make sure in every election – you vote. Then – join the team. Get on a committee. Find out where your strength is – and join us. You will find great pleasure in working on something that you are passonate about”. Freedom Sailors tells the story of 44 passengers on two dilapidated boats that sailed to Gaza in August 2008 and breached Israel’s illegal blockade. Hear co-editor Greta K. Berlin launch Freedom Sailors in Toronto, and learn more about the Canadian Boat to Gaza’s new project, Gaza’s Ark. Greta K. Berlin is a media communications expert, and a spokesperson and cofounder of the Free Gaza Movement. She was on board the FREE GAZA – the first boat with internationals to reach the besieged strip of the Mediterranean in 41 years. She has been an advocate for justice for Palestinians since the early 1960s and she has worked for the International Solidarity Movement in the West Bank. After the massacre aboard the Mavi Marmara, we announced the Canadian Boat to Gaza which we named Tahrir. Check out the website tahrir.ca The Tahrir is currently illegally impounded by the Israelli’s after she was captured in International water by the IDF. The international passengers were illegally captured and brought to Israel where they spent several days in prison. Today we are working on a legal campaign to retrieve our boat and the medical aboard that was destined for Gaza.